Stamp with Melva: Happy Card Making Day! Today is World Card Making Day! 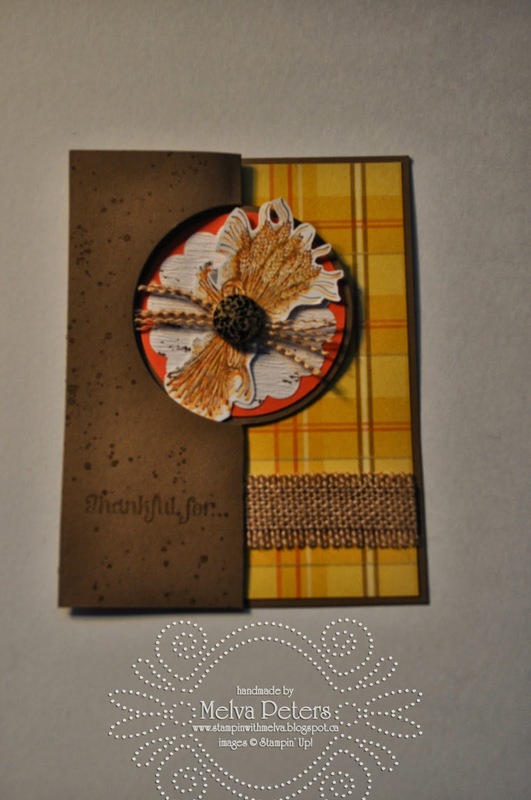 Did you have a chance to get into your craft room and make some cards? I did! It's been a couple of weeks since I last got to play as I've been away for work and then had a friend visiting. It definitely felt good to get back to being creative. I did some preparation for some upcoming classes - check out my Mixed Media class on October 26th and my Christmas Stamp-a-Stack on October 26th. I also got my cards finished (well almost finished - just waiting for ribbon to arrive in my Stampin' Up! order) for the swap that I participate in each month. I thought I'd share some of the cards I received in September swap. The theme was Halloween, Thanksgiving and Fall. 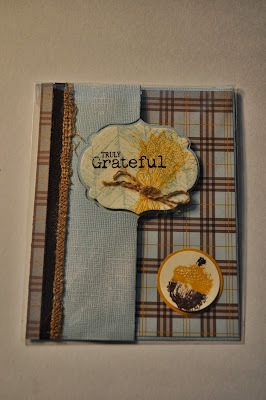 Here's my card - did I mention that I love the new Circle and Label Thinlits? 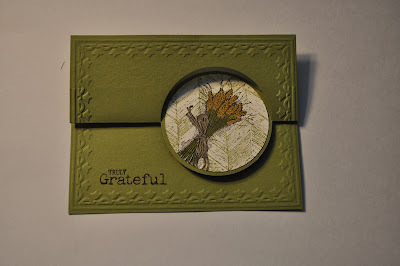 I used the Truly Grateful Stampset for this card and stamped it in three colours - crushed curry, soft suede and Tangerine Tango that coordinate with the Sweater Weather Designer Series Paper. I cut the edge off the Burlap Ribbon and then unraveled a few strands from each side which I then fastened to the front with a Vintage Brad. 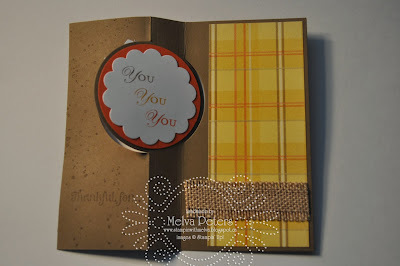 For the inside I stamped "You" in the same colours as the wheat. Here's some of the swaps I received using the same stamp set - so many different ways to use it!